We have t-shirts and gift vouchers in stock at both studios. 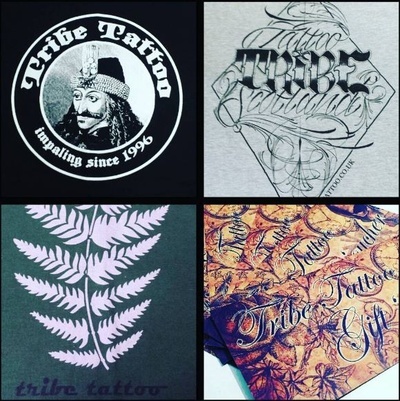 Tattoo Gift vouchers / Piercing Gift Vouchers / Laser Tattoo Removal Gift Vouchers can be written out to any amount. They can be used for tattoos, piercings, laser and all merchandise. Go on, you know you want to!